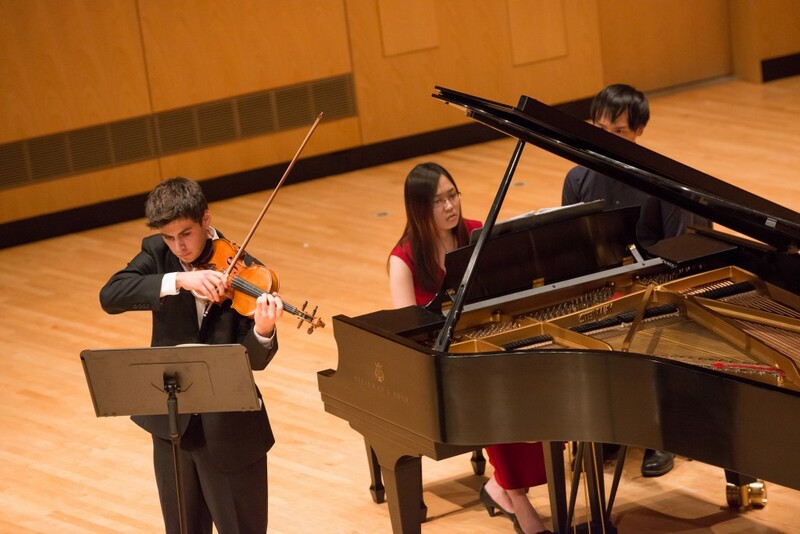 Students in the instrumental performance major receive a solid grounding and experience in solo, chamber music, and large ensemble repertoire, preparing them for graduate school and work as a professional musician with emphasis on developing entrepreneurial skills. Faculty specializations include chamber music, American music, Japanese contemporary music, music by minority composers, new complexity music, extended instrumental techniques, Baroque string music, and improvisation. Special musical opportunities exist for students through an exchange program with the Nicolini Conservatory in Piacenza, Italy, and through collaborative projects with faculty and international graduate students in the Department’s Certificate Program in American Contemporary Music.